Dunlop is celebrating 35 years since the debut of Eddie Van Halen with the Limited Edition 35th Anniversary Series of EVH signature effects. The gear features finishes based on Eddie’s legendary black and white and Frankenstein guitars. With premium quality high-gloss paints, the result is a collection of richly finished pedals that are as ready for the showroom floor as they are for the road. The 35th Anniversary series include the MXR EVH-117 Flanger, the MXR EVH Phase 90, and the Dunlop EVH Wah Guitar Effects Pedal. 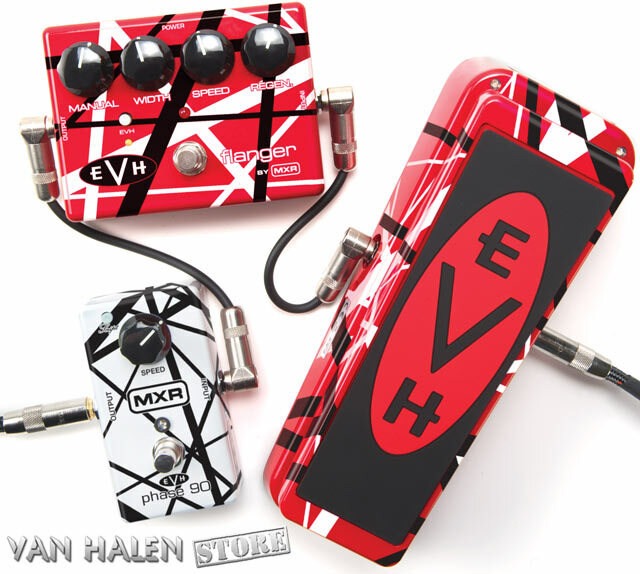 Check out the new EVH 35th Anniversary Series here. Van Halen fans continue to wait for news from the band regarding their plans for 2013. Only three Japanese dates for their “A Different Kind Of Truth” tour are on the schedule, so far: the Tokyo Dome on June 21 and Osaka’s City Central Gymnasium on June 24 and 26.